The Black Canyon Motel is located in the heart of Montrose, Colorado and is one of the closest hotels to Black Canyon National Park. Also only about 1 hours and 25 minute drive to the Telluride Ski Resort. Close by hotels include the Days Inn, Best Western, and the Comfort Inn. Our Hotel suies are affordable, newly updated and clean. 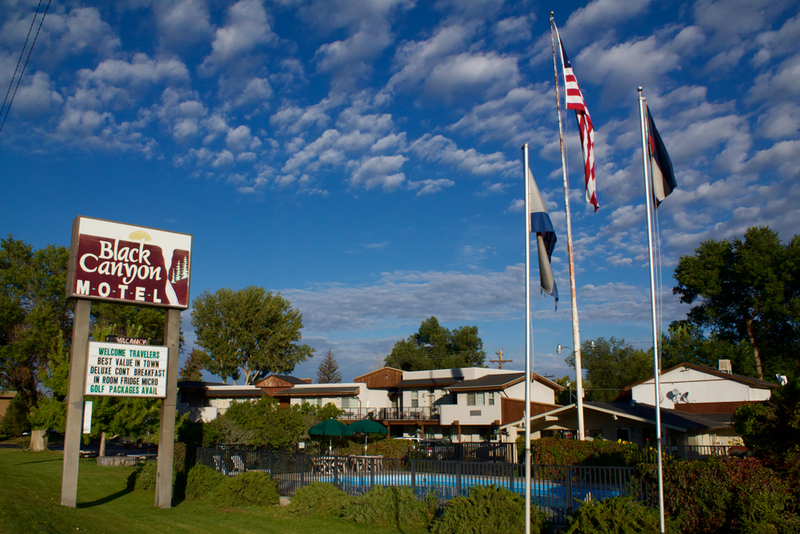 Lodging in Montrose cannot be any better than at the Black Canyon Motel. Leave us a quick note and we'll get back to you ASAP!